Your government killed my family. Woolston’s resistance to standard redemption tropes is courageous..."
Reader reactions the Best Books for Young Adults Teen Feedback Session in Chicago, ALA 2013—take a look! 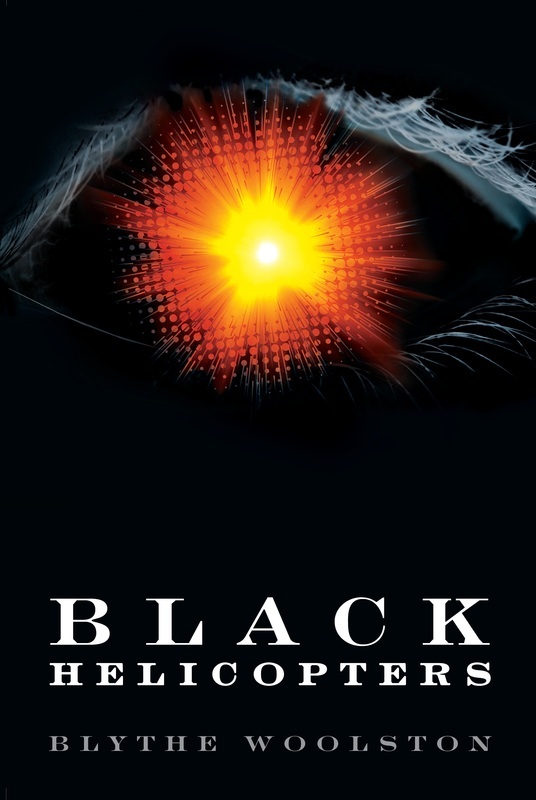 Black Helicopters earned both a Montana Book Award Honor and the High Plains Book Award. 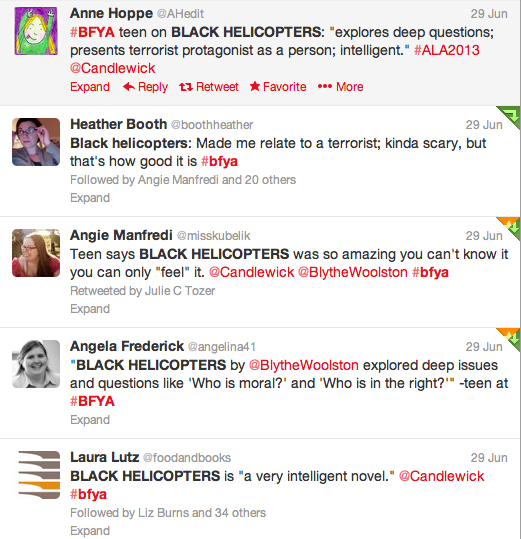 Black Helicopters is a Candlewick Press book. Available wherever books and ebooks are sold...check IndieBound. Library users check WorldCat for local availability.